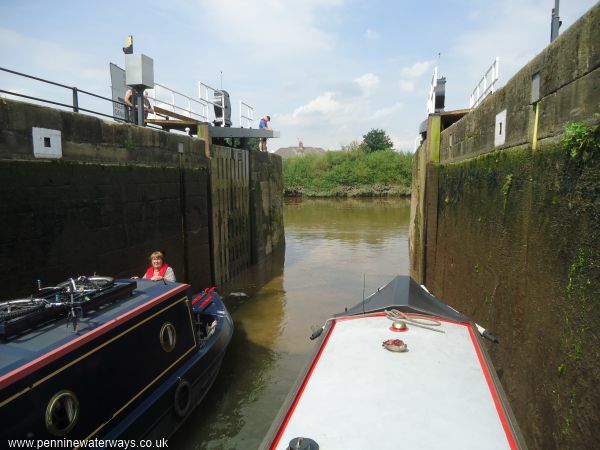 Getting ready to leave Selby Lock and enter the tidal River Ouse. 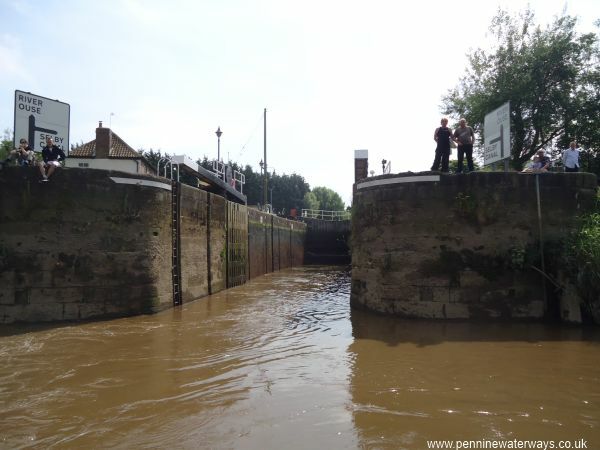 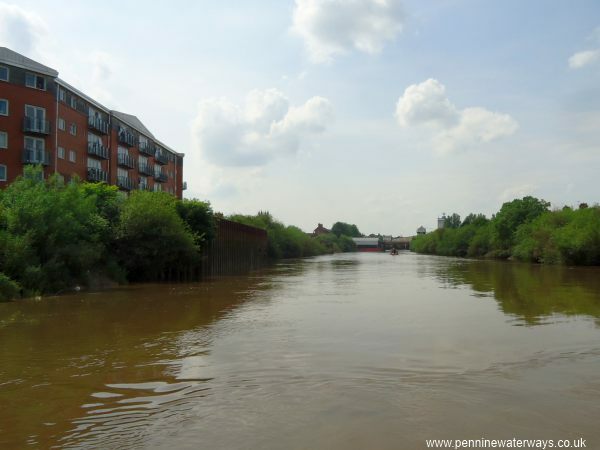 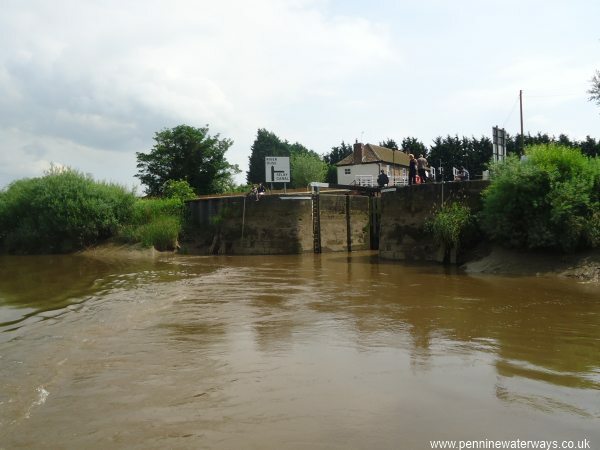 Looking back to Selby Lock from the tidal River Ouse. 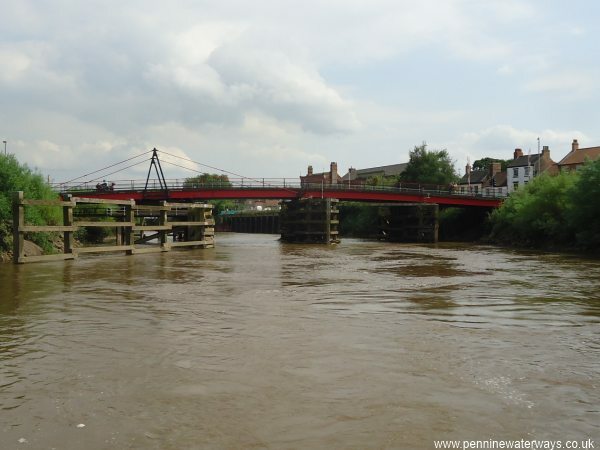 Looking west up the tidal River Ouse in Selby. 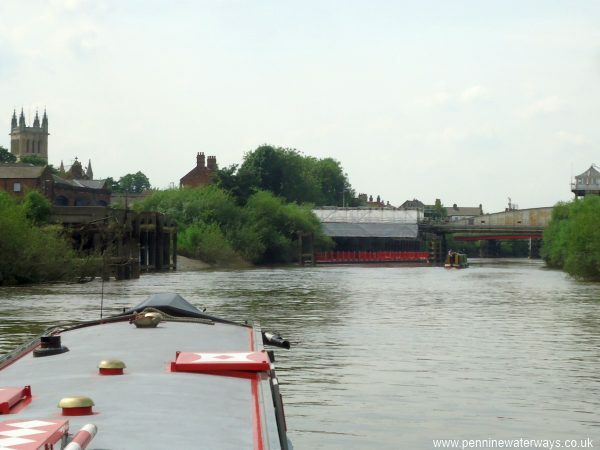 Looking towards Selby Railway Swing Bridge, with the tower of Selby Abbey visible on the left. 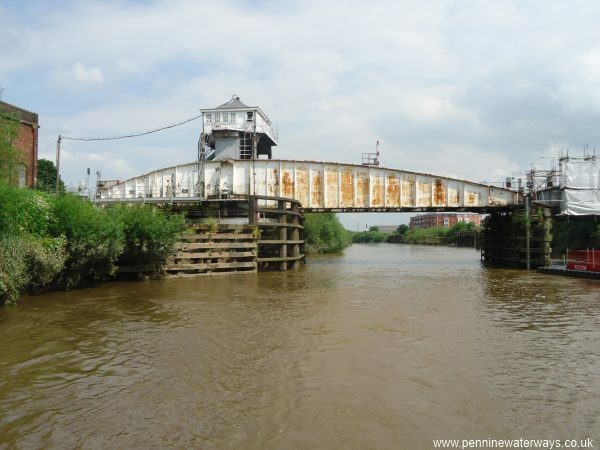 Selby Railway Swing Bridge, which at one time carried the main East Coast railway line until a new line by-passed Selby. 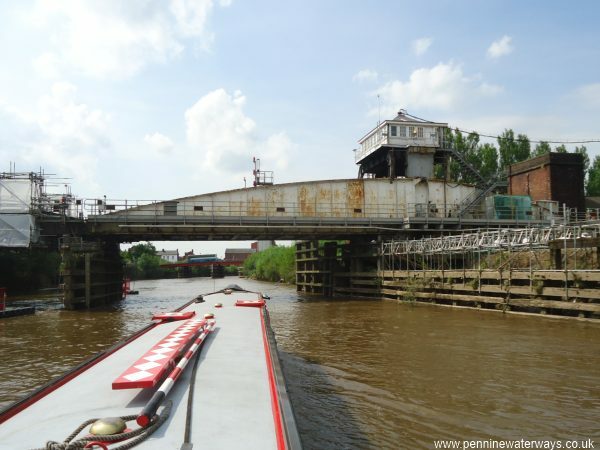 Looking back at Selby Railway Swing Bridge. 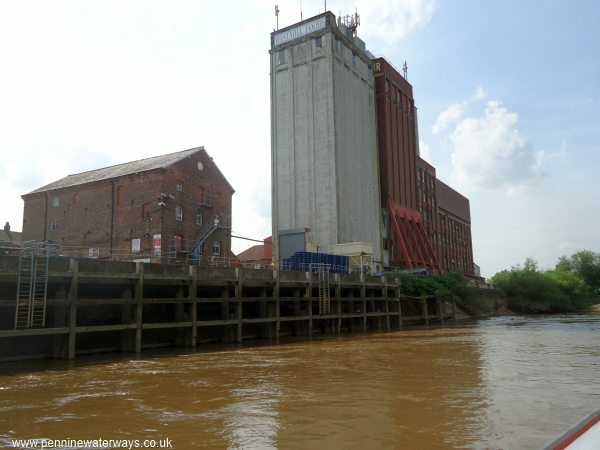 On the site of the historic Abbey Wharf and Abbot's Staithe stands the landmark Yorkshire Ideal Flour Mills, which are now used for milling rice. 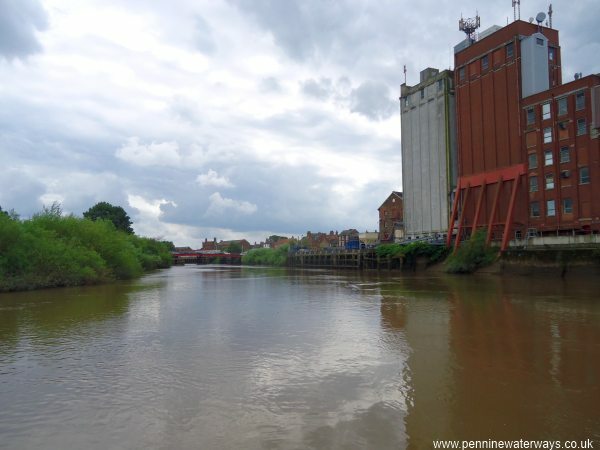 Yorkshire Ideal Flour Mills, looking back to the swing bridge at Selby.